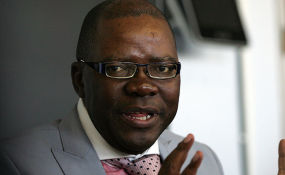 THE government has dismissed as "contemptible fake news" claims by former finance minister Tendai Biti that the Zanu PF administration would launch a new national currency this week. Dismissing the claim, the information ministry took to Twitter saying; "Govt has noted with concern falsehoods coming from some political quarters claiming that Zimbabwe will issue new currency next week. "This needs to be dismissed with the contempt it deserves. This has no base in fact or reality. It's unfounded Fake News." "The Reserve Bank of Zimbabwe would like to urge members of the public to dismiss, with utmost contempt, claims being circulated on social media regarding the introduction of a new Zimbabwe currency. "The country shall continue to use the multi-currency system." Responding to the information ministry twitter post, the opposition politician said; "The regime has been caught with pants down. "It is a fact that a new currency has been printed & that negotiations are taking place now with major holders of cash. It is fact that Cabinet has approved new currency despite paternity fight between John & Mutuvi. Now please deny this!" "Zimbabwe will not be the first. Whilst a currency is about fundamentals, ultimately the most important fundamental is confidence. There is absolutely no trust in this regime."